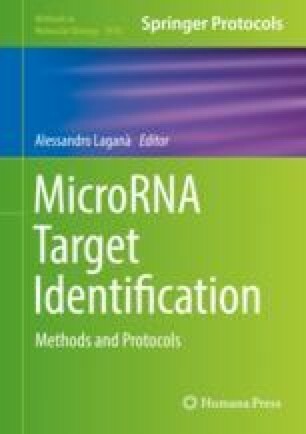 Computational prediction of miRNA binding sites on target mRNAs facilitates experimental investigation of miRNA functions. In this chapter, we describe STarMir and STarMirDB, two application modules of the Sfold RNA package. STarMir is a Web server for performing miRNA binding site predictions for mRNA and target sequences submitted by users. STarMirDB is a database of precomputed transcriptome-scale predictions. Both STarMir and STarMirDB provide comprehensive sequence, thermodynamic, and target structure features, a logistic probability as a measure of confidence for each predicted site, and a publication-quality diagram of the predicted miRNA–target hybrid. In addition, STarMir now offers a new quantitative score to address combined regulatory effects of multiple seed and seedless sites. This score provides a quantitative measure of the overall regulatory effects of both seed and seedless sites on the target. STarMir and STarMirDB are freely available to all through the Sfold Web application server at http://sfold.wadsworth.org. The Bioinformatics Core at the Wadsworth Center is acknowledged for supporting computing resources for this work. This work is supported in part by the National Institutes of Health (grants GM099811, GM116855 to Y.D. and J. L.).